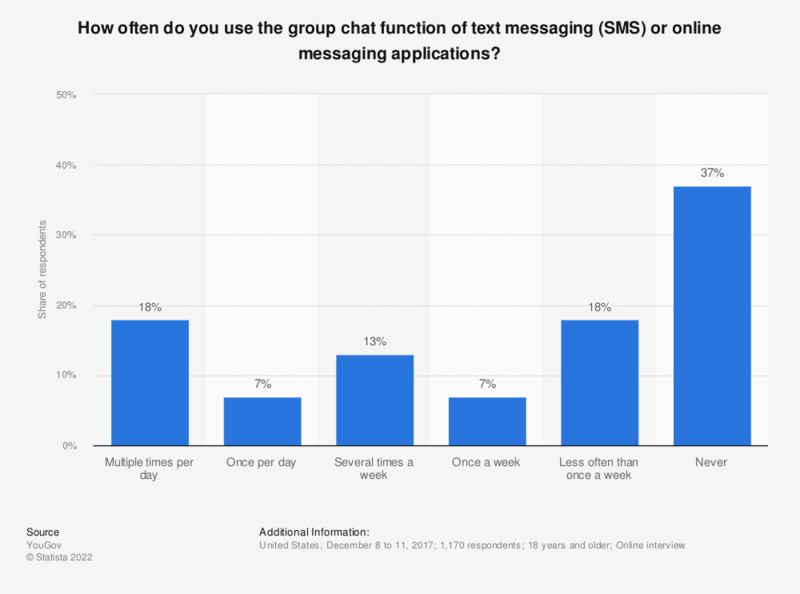 This statistic presents the frequency of U.S. adults using the group chat function of text messaging (SMS) or online messaging applications. During the December 2017 survey, 18 percent of respondents stated that they did so multiple times per day. Question: How often, if ever, do you use the group chat function of text messaging (SMS) or online messaging applications (e.g., Facebook Messenger, WhatsApp, GroupMe, etc. )?